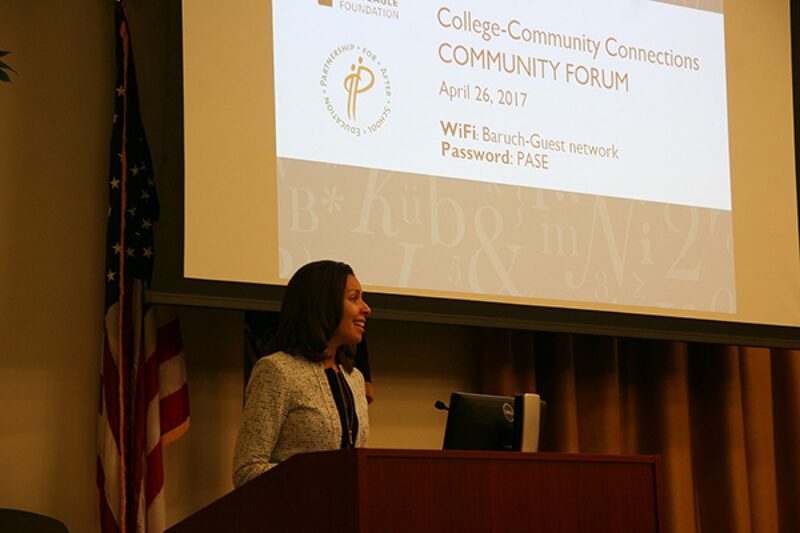 The Teagle Foundation’s College-Community Connections (CCC) program has supported partnerships between CBOs and colleges and universities to introduce high school students from underserved communities to liberal arts education. 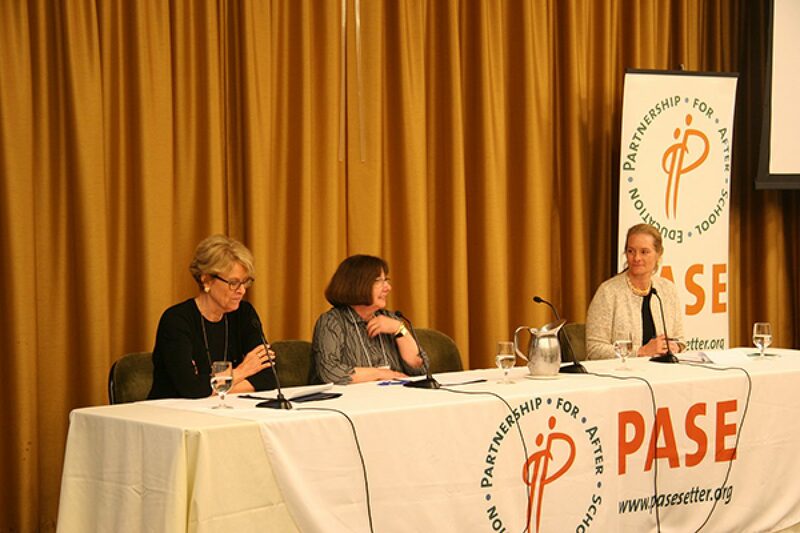 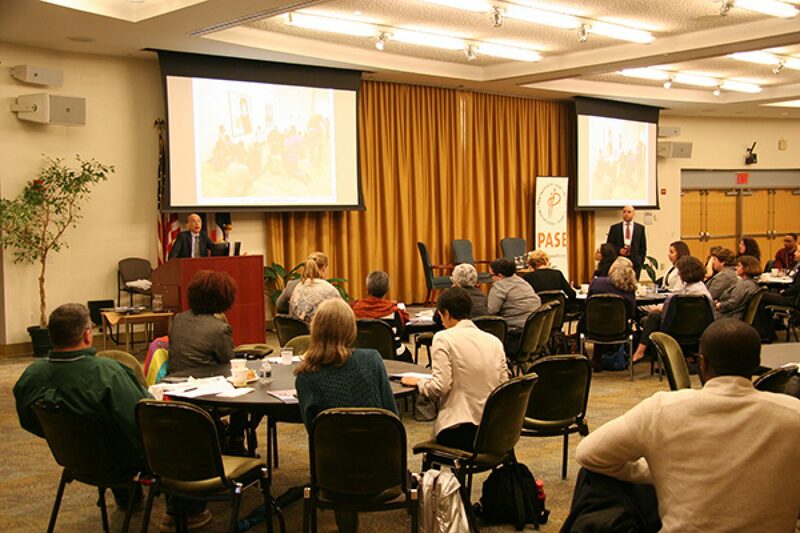 Over the past year, PASE partnered with the Teagle Foundation and its Phase V CCC partnerships to reflect on the learning and benefits of these partnerships in meeting the needs of youth, the objectives of institutions and organizations, and the implication for access to higher education for underserved youth. 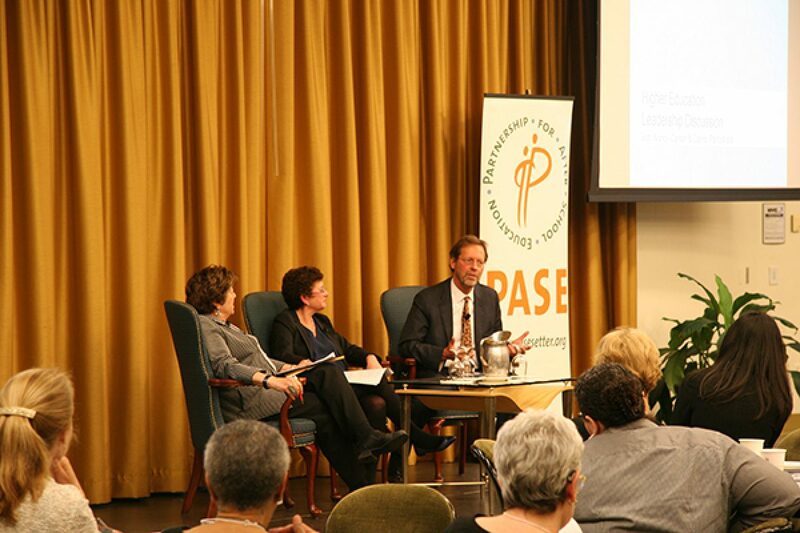 These learnings and other best practices lessons were shared at a citywide forum April 26, 2017 which featured Nancy Cantor, Chancellor of Rutgers University – Newark and Daniel Porterfield, President of Franklin and Marshall in conversation with Judith R. Shapiro, President, the Teagle Foundation. 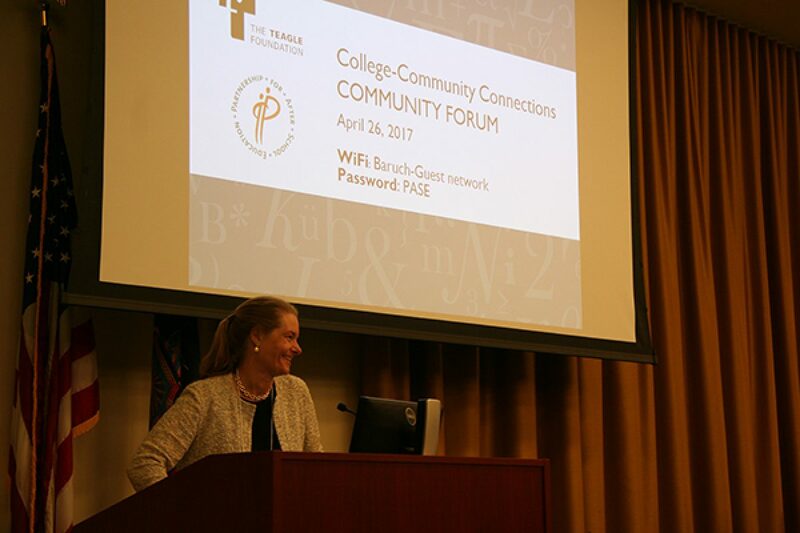 In sharing these learnings from successful CCC partnerships, we are able to amplify the CCC reach and help a greater number of CBOs and higher education institutions create positive and supportive growth environments to support student success. 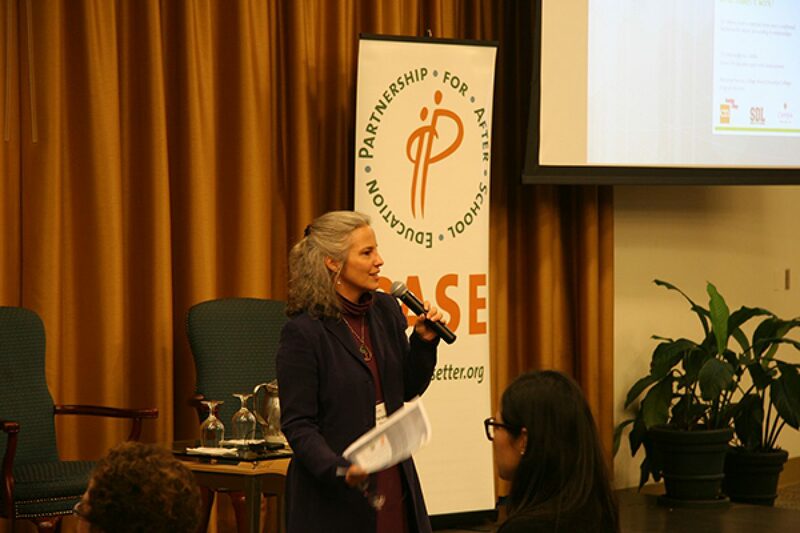 "As a society, we have to make the case for education much more intensely. 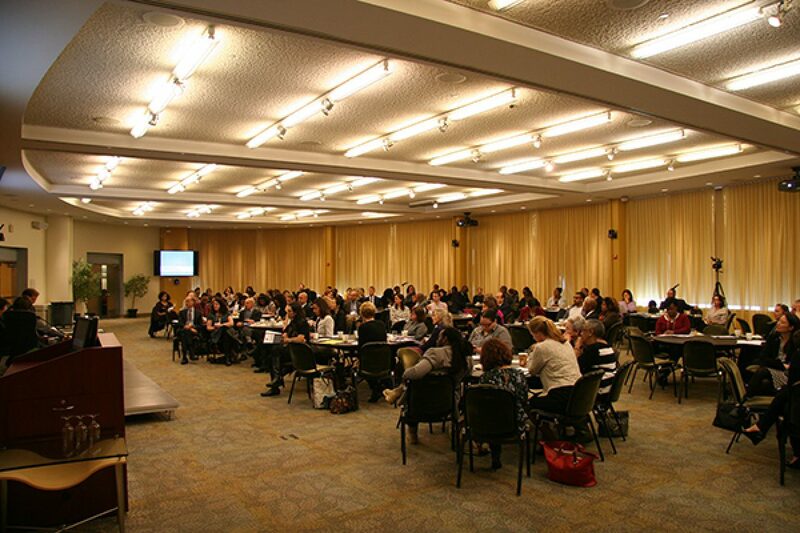 The big calling is how does a democracy build its talent, its citizenry, for a global knowledge economy without investing in education? 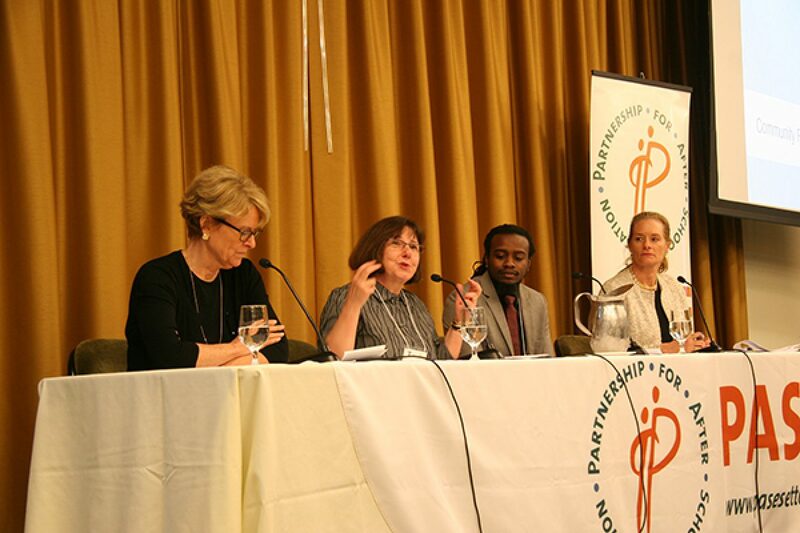 How does an increasingly more pluralistic society bring people together from diverse walks of life to overcome the supposed differences that prevent community except by education."